Kramer’s Gourmet Foods recently launched Kramer’s BBQ Sauce. Added to their already successful lineup of Wing Rubs, pairs perfectly with their rubs on wings, pulled pork, ribs and just about any grilled or smoked meat you favor. … this stuff is Competition good! 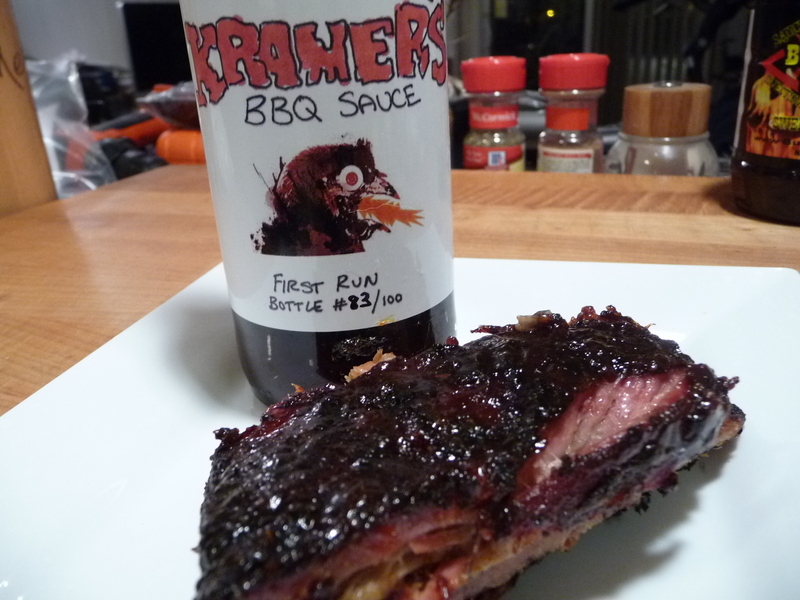 Teams, get a few gallons of Kramer’s BBQ sauce and make it your own winning secret sauce. 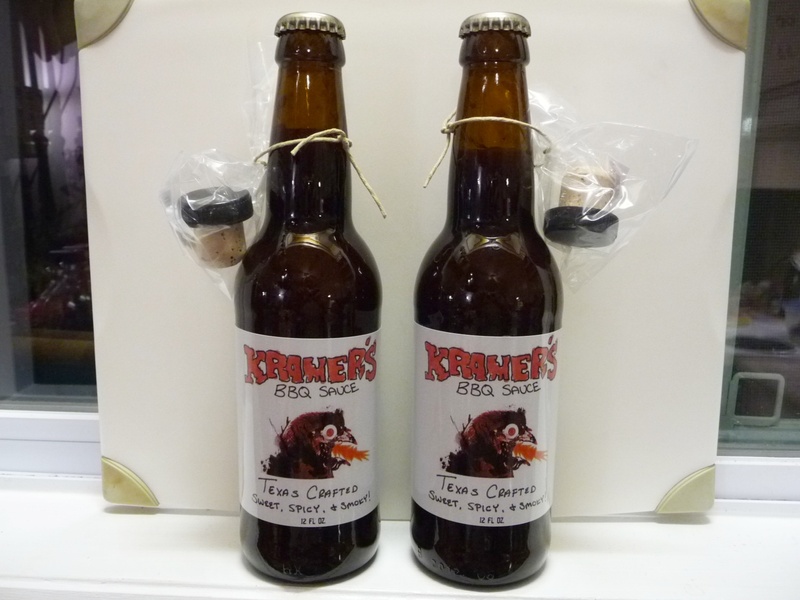 Currently available in a nice “beer bottle” package, complete with a cork stopper (just in case you have some left over), it’s a delicious BBQ sauce that everyone could enjoy. 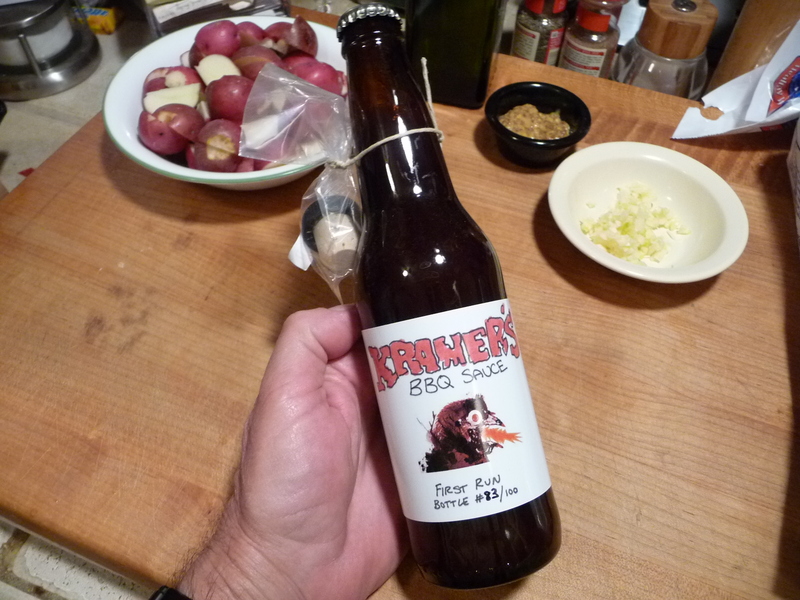 Creator Lance Kramer has assured me his BBQ sauce will be available in pints and gallons later this year. Texture & Appearance: – Light bodied, nice color, you can see the peppery goodness. The light consistency of this sauce belies the flavor that is to come. Nevermind the consistency, fans of thick or thin BBQ sauces will be delighted. Taste Straight Up: – With a light tomato background and a sweet, peppery flavor, this full flavored sauce is slick tasting, with spicy undertones. Add in the dark background flavor from the Worchestershire sauce and you have a sweet, light bodied, savory and zesty sauce. This is an amazingly complicated sauce. Let me repeat that – it’s a complicated sauce that brings on layers of flavor. And as with most BBQ sauces, Kramer’s needs to be heated to bring out the flavors. Marilyn picks out “… undertones of garlic and onion and the white wine and oregano give a nice light finish to the taste”. And I say this stuff is Competition good! BBQ teams out there, pick up a gallon or two of this and make it your own secret winning sauce! 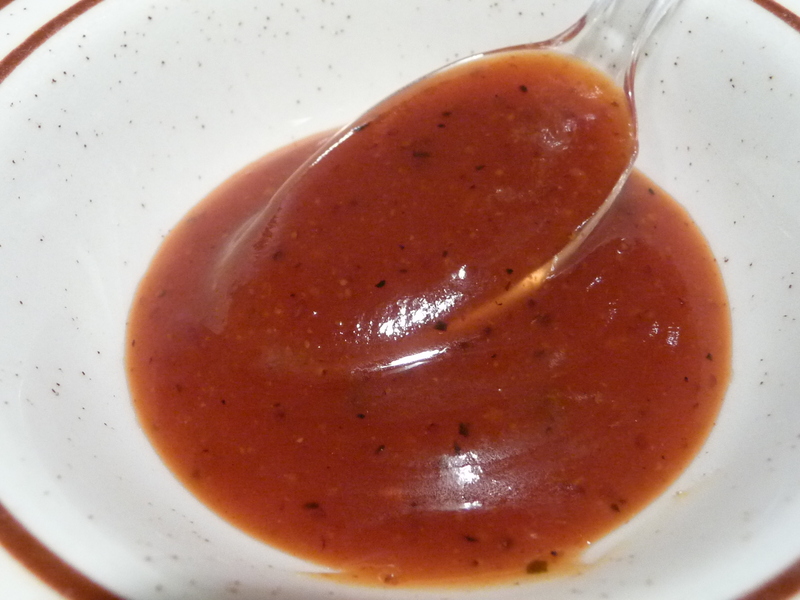 Heat Level: – Slick with hot undertones, this BBQ sauce did bring on a bit of heat – but not too much. Here at HotSauceDaily we favor less heat and more sweet in our BBQ sauces, and Kramer’s hits the sweet spot. No pun intended. Label/Graphics: – It’s hard to argue with the simple graphics of Kramer’s – both in the sauce and rubs. These products would stand out on the shelf of your local store. And there’s the beer bottle packaging that is hard to resist emblazoned with Melvin Chickn. Great job all around. We had some simple pulled pork, smoked with cherry wood, to sample Kramer’s BBQ Sauce on at first. These sandwiches were delicious. 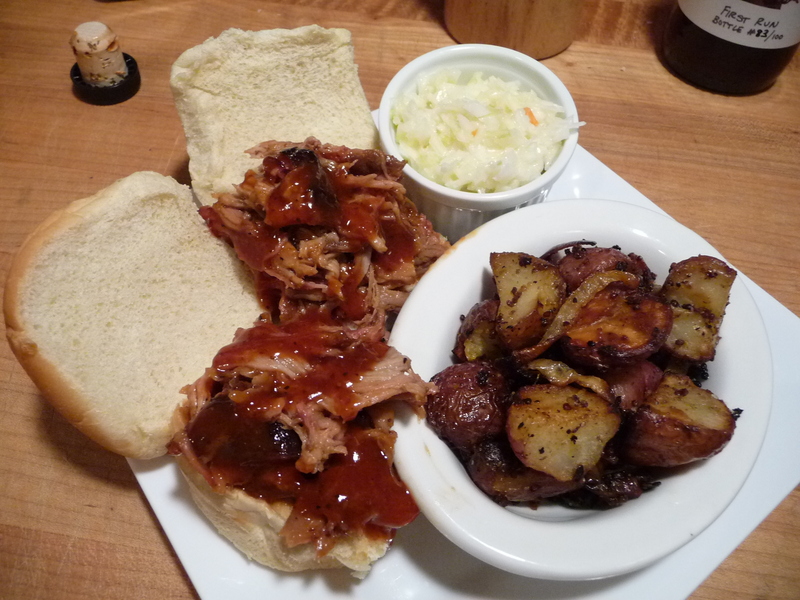 The Kramer’s BBQ Sauce was a perfect accompaniment to the plain pulled pork. 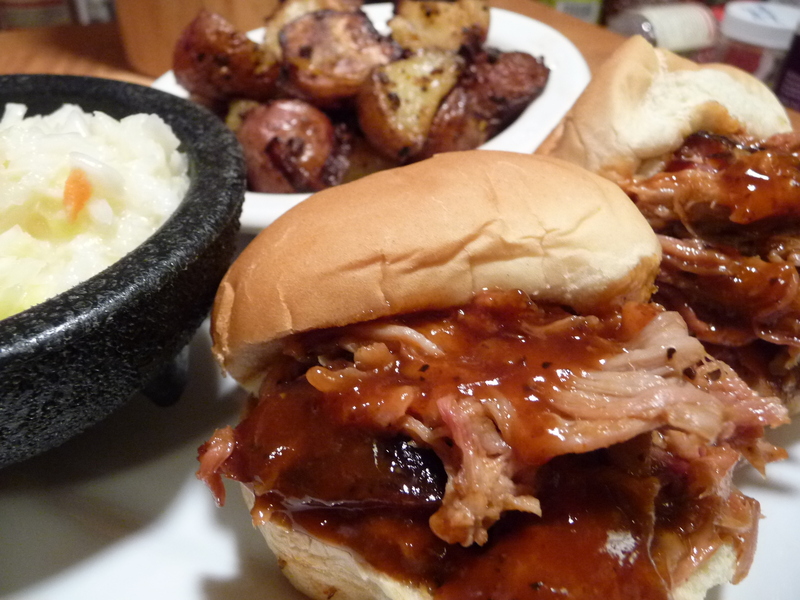 The warmth and smooth BBQ flavor made us want more and more saucy goodness. And here’s where things get all delicious times 10! 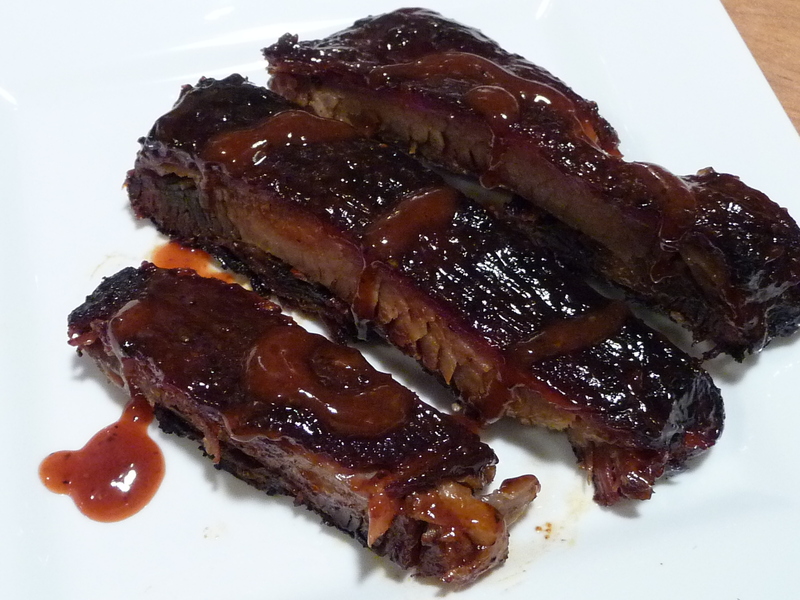 This was our first rib cook on our new Akorn Smoker – and they came out delicious, but just a bit charred. Thankfully the Kramer’s BBQ Sauce really “shined” on these lil’ babies! They were finger licking, lip smacking good. 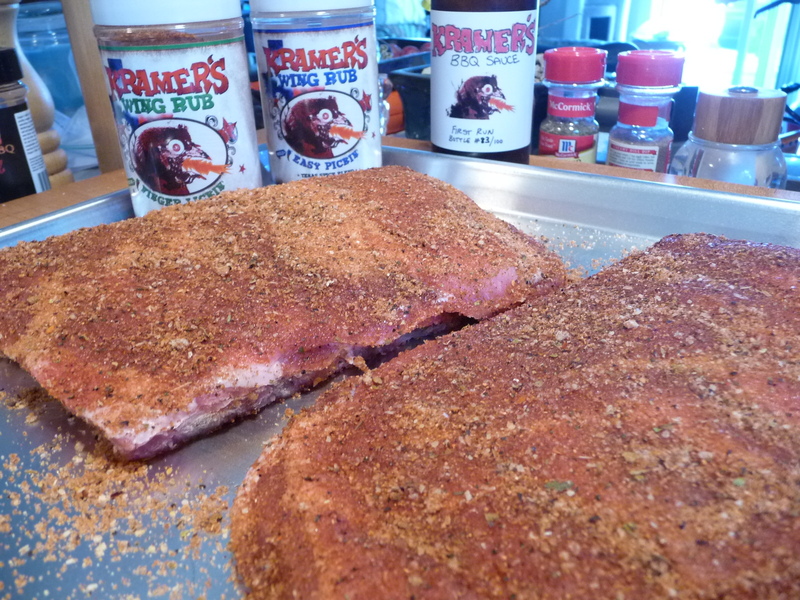 We thought the Kramer’s rubs really permeated the meat of the ribs and just added tons of flavor and support to the BBQ sauce. You would rock the party by pairing any of Kramer’s Wing Rubs with their BBQ sauce – a genius match made in Heaven! Yet another look at the ribs, with some fresh, warm Kramer’s BBQ Sauce drizzled on for extra flavor. Overall Rating (Taste on Food, Final Thoughts): – This is another winner that is superb on pulled pork, ribs, and most certainly rocks on chicken (our next cook with Kramer’s BBQ). We award our highest rating of 5 stars to Kramer’s BBQ Sauce. It’s that good, and I’ve not been as excited about a BBQ sauce since Draper’s BBQ Sauce launched. 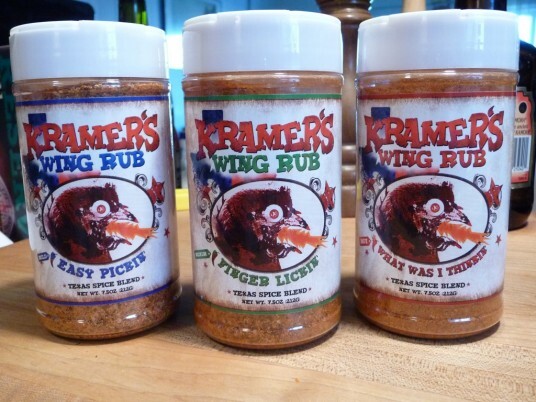 And don’t forget to checkout Kramer’s Wing Rubs – not just for wings! In 2011, Kramer’s Gourmet Foods was born. On November 15th, 2011, Kramer’s hit the market with their specially blended Chicken Wing Rubs. These Texas inspired spice blends are designed specifically for GRILLED WINGS, but they’re pretty much good on everything. Visit RubResponsibly.com – our website will give you delicious, unique ideas on how to use the seasonings. Kramer’s will continue to release high quality Texas Inspired Foods and products for years to come! Order some Kramer’s BBQ Sauce and Wing Rubs from RubResponsibly.com and be sure and tell them HotSauceDaily.com sent you! That’s great, Lance! Save 15% off by using the code HSDAILY until Feb 3rd, Superbowl Sunday! I will amend the post to reflect this. This is truly a stellar sauce! Makes me want to (make Brian) cook a brisket! I have had it and think it’s a great sauce, very flavorful. The packaging was rocking too, my son actually kept the bottle, lol. Your Facebook page does not exist. I was trying to find it. Thanks DK. Kramer’s Gourmet Foods is now Kramer’s Lone Star. I’ve updated the links to his Twitter and Facebook pages.